I’m not ashamed I am battling mental illness.I’m not ashamed than I am not “normal” and that nothing in my life has ever been easy or came to me on any type of platter. I’m not ashamed that I’ve had to hustle for what seems like “little” to others and everything to me. I’m not ashamed that all I’ve ever wanted out of life is to be loved and valued by others. I’m not ashamed that there have been thousands of nights I’ve cried myself to sleep and thousands of morning I woke up in tears. I’m not ashamed that I don’t know how to love and hope that one day someone can teach me. I’m not ashamed that I may have missed out on good relationships because I know I am extremely hard to deal with and every “great” guy will not able to deal with me. I’m not ashamed of my screw ups in life sometimes you have to make sacrifices in order to survive. I’m not ashamed that I walk this earth alone with no family. I’m not ashamed that I usually spend my holidays alone with leftover Chinese food fantasying about spending my holidays with a make believe husband and family. I’m not ashamed to be in the skin I’m in. For I was created with a purpose just not sure what. I’m not ashamed that I’ve told lies in life but who hasn’t? The funny thing is the truth has been valued as lies and lies have been valued as truth. I’m not ashamed that I don’t smile. Not really sure “how” or “why” I should. I’m not ashamed that I think I am crazy/beautiful. The only thing I pray is that I don’t harm myself or screw my life up. I’m not ashamed that those “friends” I cared for went out of their way to hurt me mentally, physically and tried to ruin my reputation. I’m not ashamed that I was kidnapped as a child from my country by a mentally and physically abusive woman. 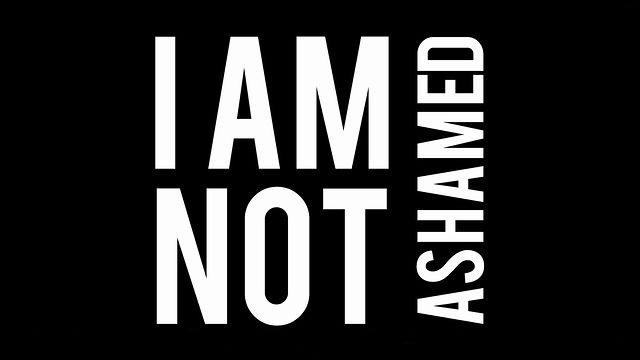 I’m not ashamed that all my life I dealt with others mentally and physically abusing me, parents who were functional crackheads, and not being loved as a child/teenager. I’m not ashamed that I’ve never been able to admit to anyone the “true” home I grew up in out of shame and out of refusing to be that typical black girl. I’m not ashamed to admit that I don’t think God loves me or cares for me because of the cards that he dealt me so I have a hard time believing in him and his existence.